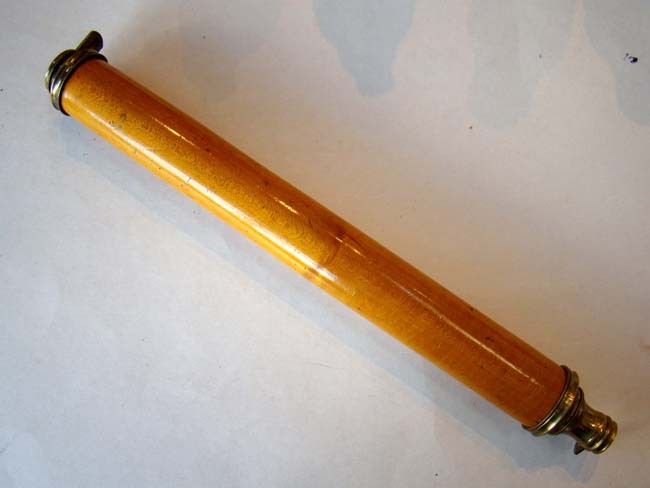 I have never seen a finer early telescope than this one. It even has a rarely seen satinwood barrel. 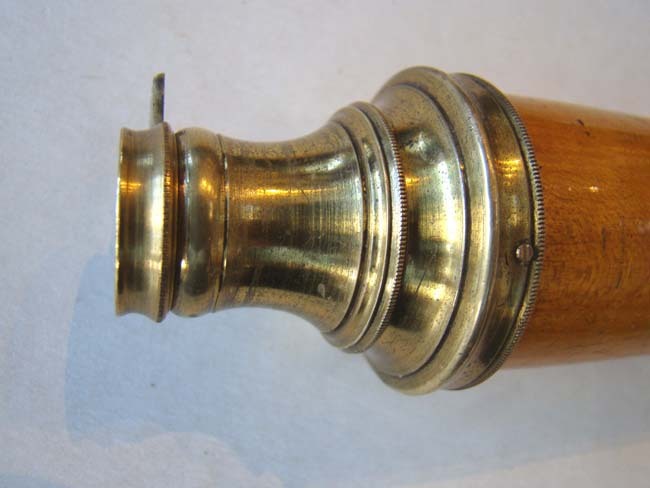 The brass eyepiece and lens cover are in near mint condition with only minor wear. The optics are amazing for a telescope which is nearly 275 years old. Length closed: 14' Open 23".